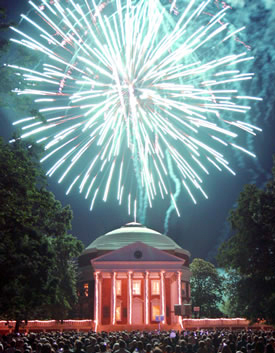 The University of Virginia has eleven medical specialties ranked in the U.S. News & World Report top fifty. The University of Virginia is named one of the top 100 hospitals in the country. 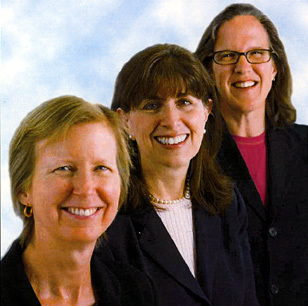 The Department of Emergency Medicine opens the Women’s Center for Emergency Care. The School of Medicine implements a new medical curriculum with the introduction of Practice of Medicine. A new Gastrointestinal Clinic provides care for women by women. The University of Virginia kicks off the Lungs for Life program with low-dose spiral CAT scans. The Runner’s Clinic opens at the Musculoskeletal Service Center. 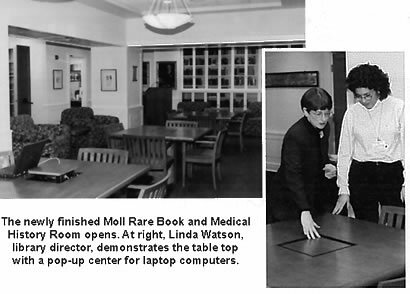 The newly finished Moll Rare Book and Medical History Room opens in Historical Collections. The School of Nursing celebrates 100 years of service. 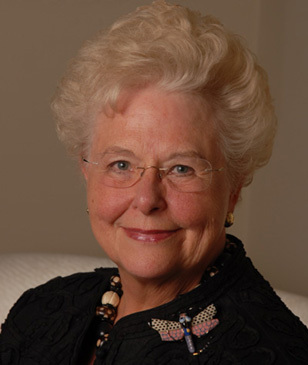 Mr. Jefferson’s Nurses: The University of Virginia School of Nursing, 1901-2001 by Barbara Brodie is published. The University of Virginia becomes the first hospital in the region to install a digital mammography system. 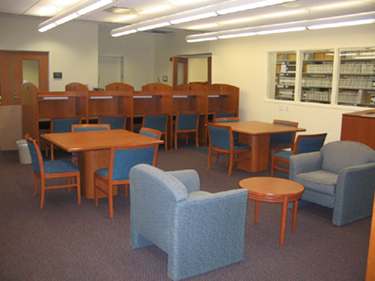 The Health Sciences Library completes its two-year renovation and expansion project. 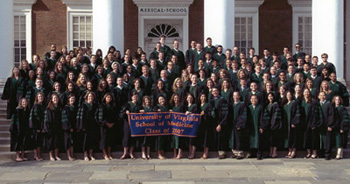 Forty-two University of Virginia doctors are listed in America’s Top Doctors. Eight University of Virginia medical specialties are listed in U. S. News & World Report’s guide to America’s Best Hospitals. The School of Nursing plans to expand McLeod Hall. The University of Virginia Health System replaces the blue plastic patient identification cards with bar codes. A $38 million NIH grant to study cell migration is the largest ever for the School of Medicine. 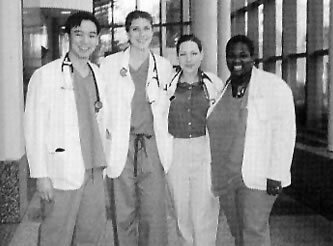 University of Virginia Hospital employees help in New York and at the Pentagon after the September 11th terrorist attacks. A Media Studio facility opens at the Health Sciences Library to help users create high-quality media products. The Health Sciences Library adds e-books and subscribes to over 800 electronic journals. 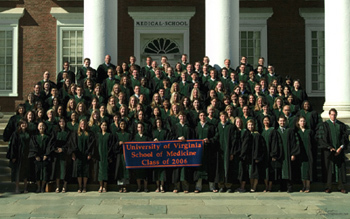 The Best Doctors in Virginia directory selects 82 doctors at the University of Virginia. The University of Virginia is again recognized as one of the top 100 hospitals in the nation. 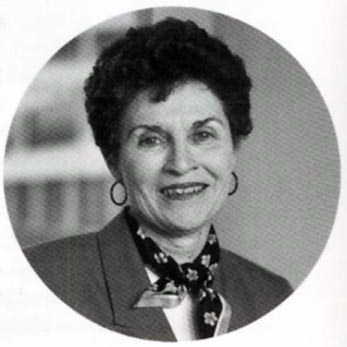 Barbara Brodie, Ph.D., retires after serving the School of Nursing for 32 years. 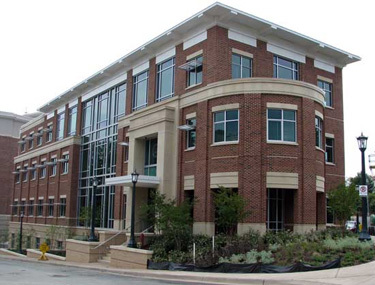 The Center for Clinical Toxicology, unique in the state, begins operations at the University of Virginia. 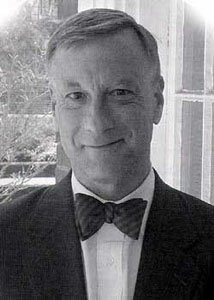 Edwin W. Pullen, Ph.D., former Professor of Anatomy and Director of Admissions, passes away. The 2nd annual marathon team runs in the Marine Corps Marathon to raise funds for the Virginia Children’s Heart Center. R. Edward Howell begins his tenure as the Medical Center’s Vice President and Chief Executive Officer. The School of Nursing receives an Award of Excellence for its year-long Centennial Celebration. The Board of Visitors approves the purchase of property for the second major expansion project since the new hospital was completed in 1989. For the fourth consecutive year, the University of Virginia Medical Center has been recognized as one of the nations’ top 100 hospitals. 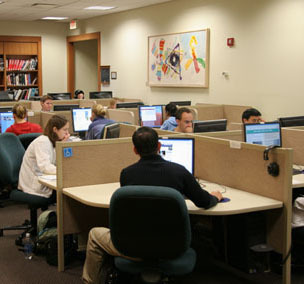 The Health Sciences Library opens a wireless classroom. A new $58 million addition to the south side of the University Hospital gets underway. The HIPAA Privacy Rule for the first time creates national standards to protect an individual’s medical records and other personal health information. The Radiology Department unveils the first PET-CT scanner in Virginia. Modular operating rooms open and bridge the gap between the present and the time when the hospital expansion project will be complete. The Claude Moore Charitable Foundation donates $60,000 for a state-of-the-art patient simulator. To combat the problem of childhood obesity, the Children’s Medical Center opens the Commonwealth of Virginia’s first integrated weight-management clinic for children. Travis Stork graduates from the University of Virginia School of Medicine. In future years he appears on The Bachelor (2006) and becomes host on The Doctors (beginning in 2008). The Claude Moore Health Sciences Library has been awarded the 2003 Waldo Gifford Leland Award from the Society of American Archivists for the digitization project and Web site of the Library’s Philip S. Hench Walter Reed Yellow Fever Collection. The School of Nursing aims to deepen and diversify the nursing pool. A symposium kicks off the University of Virginia’s new Morphogenesis and Regenerative Medicine Institute. The University purchases the da Vinci Surgical System. Using the system, a doctor operates a console that directs robotic arms, inserted inside the patient, to perform the necessary tasks. A Decade Plan is implemented for the entire Health System. 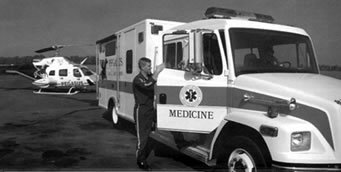 The hospital-based air and ground medical transport service celebrates 20 years. The Pegasus helicopter has operated incident-free and transported nearly 15,000 patients. More than 50,000 reference questions are answered and over 987,00 virtual visits are made to the Library’s Web site. The Health System offers its employees cash bonuses or trip giveaways for referring successful nursing candidates to the University as a national nursing shortage looms. The Wow! Campaign shares many incredible medical and research “first and onlys” that have originated at the University of Virginia Health System. 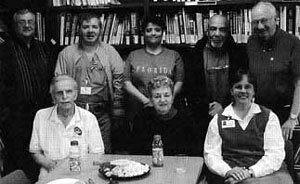 Residents complete their first year of training with the 80-hour work week in effect. The Medical Center is again ranked among the nation’s top 100 hospitals. The University of Virginia launches a new Web site, www.uvahealth.com, that provides in-depth, up-to-date, and reliable health care information. To promote healthier snacking, vending machine items are labeled with red, yellow, or green tags depending on their saturated fat and calorie content. 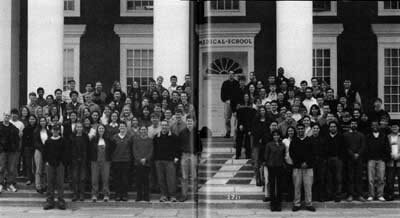 The School of Medicine Class of 2007 completes the first year of the new pass/fail grading system in the basic sciences. The Claude Moore Foundation pledges $12.5 million towards a new building to be devoted to medical education. The grand opening of the first phase of the University Hospital Expansion is celebrated November 10th. The new four-story structure is approximately 130,000 square feet and houses 14 new operating rooms. 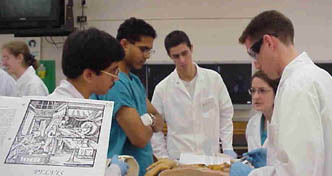 Students in the first-year anatomy class. The School of Medicine introduces “Cells to Society,” a course presenting all aspects of a single disease, diabetes, in the first three days of medical school. Dr. Christine Peterson directs the course, which Dean Arthur (Tim) Garson helped create as part of the new enhanced curriculum. Dean Arthur Garson, Dr. Peyton Taylor, and Mary Wagner attend the opening celebration for the nineteenth-century French and English caricature exhibit. 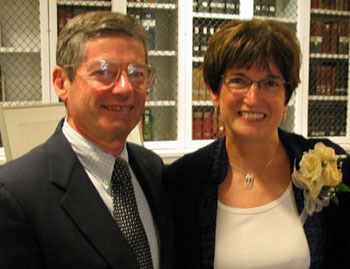 Mrs. Wagner donated the caricatures that were collected by her late husband, Dr. Robert Wagner. They are now on permanent display in Historical Collections & Services, the Claude Moore Health Sciences Library. 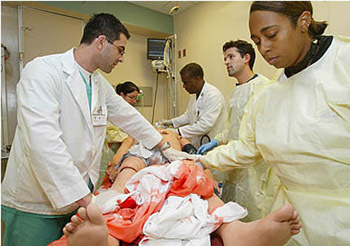 Dr. Marcus Martin (center), Chair of Emergency Medicine, guides third-year medical students as they assess “Stan the Man” (short for “standard man”). The $60,000 computerized patient simulator bleeds fake blood, can be hooked up to various monitors, and offers realistic body structure for incisions, injections, and other invasive procedures. Linda Watson, Associate Dean and Director of the Claude Moore Health Sciences Library, resigns after 15 years at the University of Virginia to take a position at the University of Minnesota. Momentum builds for the new Claude Moore Medical Education Building that will include innovative features designed for various learning styles and new methods of instruction. Conceptual drawings for the new University of Virginia Children’s Hospital outpatient building are unveiled. The School of Nursing, forced to deny admission to an increasing number of qualified applicants, selects an architectural firm to construct a companion building across the street from McLeod Hall. The bagels are coming. The bagels are coming. The bagels are here! Bodo’s opens on the Corner! 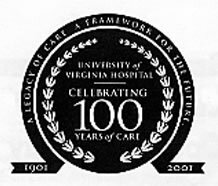 The University of Virginia Medical Center is one of only two hospitals in Virginia named to the Solucient 100 Top Hospitals National Benchmarks for Success list for 2005. The proposed Carter-Harrison Research Building will provide space for researchers in cancer, immunology, vaccine therapy, and infectious diseases. 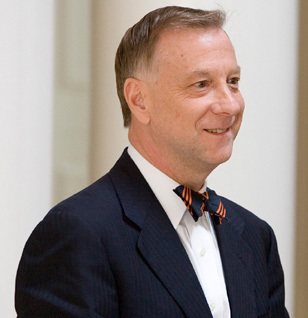 The University of Virginia School of Medicine initiates an extensive self-study, a requirement for the Liaison Committee on Medical Education (LCME) accreditation process that the School undergoes every eight years to retain its ability to award M.D. degrees recognized by state licensing boards. The School of Nursing is a pilot participant in the Clinical Nurse Leader program, which offers a nursing major master’s degree based on strong point-of-care leadership. Seven hundred University of Virginia Health System employees have asked to be placed on a list of volunteers to be deployed if requested by agencies assisting the communities impacted by Hurricane Katrina. The Cells to Society curriculum is fully implemented for the first year School of Medicine class. Nursing recruitment goes global in a pilot program that has the University of Virginia filling critical positions in the hospital with nurses from England, Jamaica, the Philippines, Australia, and India. The Rolling Stones rock Scott Stadium. “Patient Voices in Early Nineteenth-Century Virginia: Letters to Doct. James Carmichael & Son” provides a rare glimpse into medical practice, plantation life, and social history in rural Virginia.The “Iron Lung” explores the development of the iron lung and its relation to poliomyelitis epidemics. 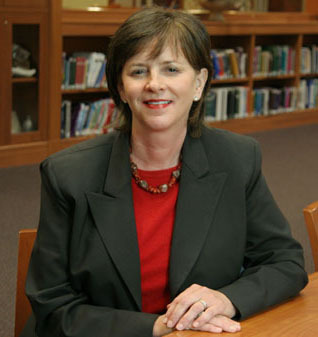 Gretchen Arnold is appointed Interim Director and Associate Dean of the Claude Moore Health Sciences Library. The technology found in the Library is continuously being modernized and appreciated by many users. Brian Wispelwey is awarded the first David C. Harrison Distinguished Educator Award. 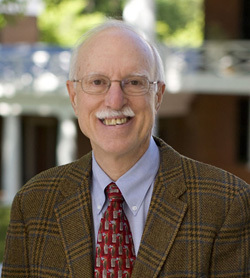 Dr. Barry J. Marshall, holder of joint faculty appointments at the University of Virginia School of Medicine and the University of Western Australia, becomes the first current UVa faculty member to be awarded the Nobel Prize for Medicine. 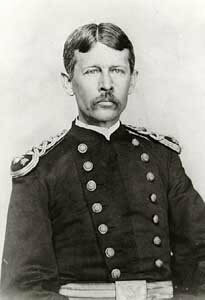 With J. Robin Warren, Marshall discovered the connection between Helicobacter pylori bacterium and peptic ulcer disease. 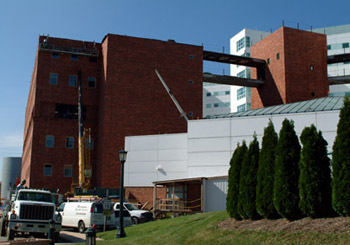 The Hospital Expansion Project includes the construction of a new six-level addition at the rear of the University Hospital in 2005 as well as substantial internal renovations in 2006. Construction is underway of the Carter-Harrison Research Building (MR6) which will provide space for several hundred researchers and technicians in fields including cancer, immunology, allergies, and infectious diseases. 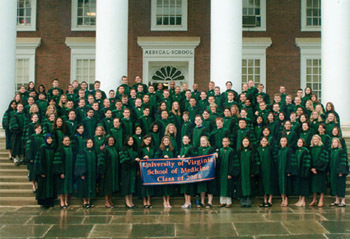 Fifty University of Virginia doctors are included in the sixth edition of the annual guide America’s Top Doctors TM. Two years after the University of Virginia Medical Center initiated red, yellow, and green color-coding of its vending machine snacks and drinks, a study shows that users are choosing healthier items based on visible nutrition information. The sales of items coded red (high fat, high calorie) are down while the sales of yellow and green items are up. The staff at the University of Virginia Health System–including doctors, nurses, and administrators– is honored by the U.S. Department of Health and Human Services for increasing organ donation rates. 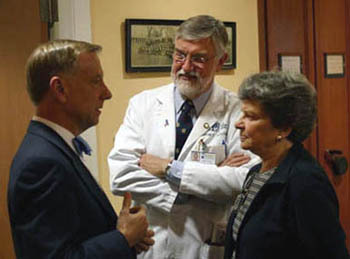 In September the University of Virginia Board of Visitors names three buildings to be constructed at the Health System. The two new clinical care facilities are the Emily Couric Clinical Cancer Center and the Barry and Bill Battle Building at the University of Virginia Children’s Hospital. The Ivy Foundation Translational Research Building will house much-needed laboratory space for medical research at the University of Virginia. Work there will focus on efforts to accelerate the progress from lab-bench discoveries to direct improvements in patient care. The “Social Issues in Medicine” course enters its second year at the School of Medicine. First year students are exposed to the social, economic, and cultural context of medical practice by serving 30 hours in one of 47 school, social-service, or health-related programs. 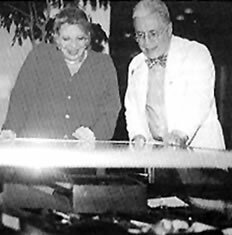 A conference honors the 50th anniversary of plastic surgery at the University of Virginia. In partnership with local organizations, dozens of physicians, nurses, lab technicians, pharmacists, emergency medical technicians, and other employees of the University of Virginia Health System spend three days providing free medical services to people at the Virginia-Kentucky Fairgrounds in Wise, Virginia. The seventh annual Remote Area Medical (RAM) Clinic is one of the nation’s largest public health outreach efforts. The University of Virginia Medical Center is one of only 15 major teaching hospitals to be ranked among the nation’s top 100 hospitals, according to Solucient’s “100 Top Hospitals: National Benchmarks for Success” study. One of only two hospitals from the Commonwealth to be selected, this is the seventh year the Medical Center has received this honor, as well as the honor of being named one of “America’s Best Hospitals” by U.S. News & World Report. NIH grants for medical research at the University of Virginia stand at $146.2 million, an increase of $13 million over last year. U.S. News & World Report ranks the School of Medicine 25th out of 126 in the nation among research-intensive medical schools. The School of Nursing is currently ranked 16th nationally in NIH grants received for nursing research. Dr. Robert Strieter becomes Chair of the Department of Medicine; Dr. Mark Shaffrey assumes the leadership of the Department of Neurosurgery. 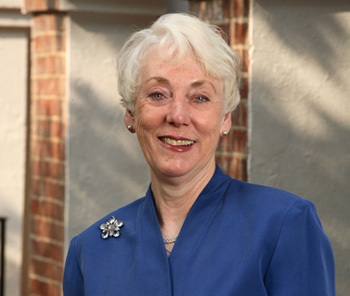 Jeanette Lancaster, Dean of the School of Nursing, is one of the 300 “most powerful people in healthcare” in the U.S., according to a recent survey by Modern Healthcare magazine. The largest single gift to the School of Nursing ($5 million) is given by the Claude Moore Charitable Foundation to help fund the new Claude Moore Nursing Education Building to be built across from McLeod Hall. Dean Jeanette Lancaster celebrates the groundbreaking on April 8th. The building will help the School of Nursing to expand its enrollment by up to 25 percent, a significant boost to address the nation’s critical nursing shortage. Historical Collections adds the new expanded Kerr White Health Care Collection to its Web exhibits. 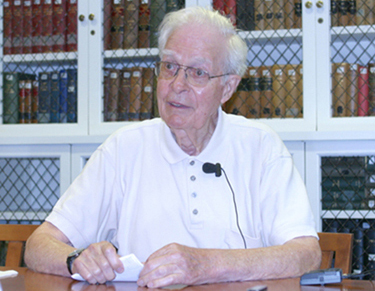 Dr. Kerr White, shown above being interviewed in Historical Collections, is a pioneer in the field of Health Services Research. The interview is available on the Web site. 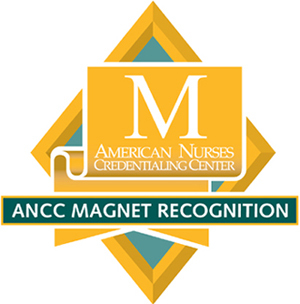 On August 18, 2006, the American Nurses Credentialing Center grants Magnet Recognition to the University of Virginia Medical Center. This prestigious award is granted to healthcare organizations that provide the best in nursing care and nursing professional practice and has been achieved by only three percent of U.S. healthcare facilities. Internationally recognized flu expert Dr. Frederick G. Hayden of the University of Virginia joins the World Health Organization’s efforts against avian flu. 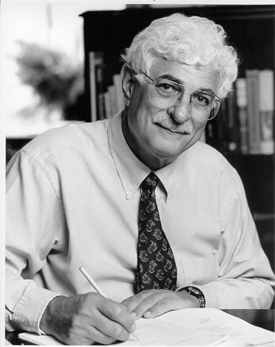 Dr. Vamik Volkan, University of Virginia Professor Emeritus of Psychiatry, is nominated for the Nobel Peace prize, mainly for work done as the former director of the University’s Center for the Study of Mind and Human Interaction. 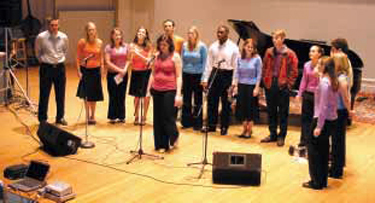 The Arrhythmics performing at the School of Medicine Talent Show. 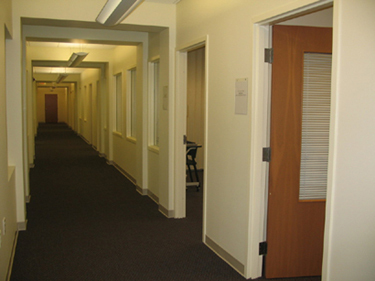 Partnering with the School of Medicine to support its need for small group instructional space, the Library begins the Learning Resources Center renovation in January of 2006 to create a total of 12 group study rooms (corridor shown above). The 24-hour study room is increased in space by 300%. Extensive weeding of both books and journals takes place to allow for the changes. See current photos and take a virtual tour of the University of Virginia School of Medicine, hospital, and grounds at the Office of Admissions. The new Gamma Knife Perfexion is scheduled for installation in the early spring of 2007. The University of Virginia becomes one of the first centers in the world to offer patients the most advanced system ever for non-invasive treatment of brain disorders. Modeled on the Medical Center Healthy Vending program with its red, yellow, and green color coding of vending machine snacks and drinks, the Signals for HealthTinitiative is expanded to encourage the purchase of healthy foods in the hospital cafeteria. 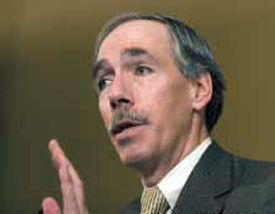 Listen to Dean Garson explain the program (MP3) . The Claude Moore Health Sciences Library is pleased to announce the Weaver Family Endowment of Rare Books and Medical Materials, a new fund established for the purchase of important materials in the history of health sciences. 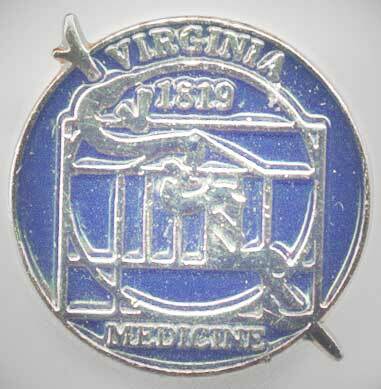 This year 160 University of Virginia physicians make the list of Best Doctors in America® by Best Doctors, Inc. This is 35 more than appeared on the previous list in 2005 and the largest number ever for the University. The School of Nursing ranks 19th in the U.S. News & World Report “America’s Best Graduate Schools 2008” rankings, seven spots higher than the last survey. The School of Medicine improved its ranking to 23rd in the nation for research-intensive schools in this year’s U.S. News & World Report rankings. This is its highest ever ranking. The University of Virginia Health System wins a coveted Three-Year Approval with Commendation from the Commission on Cancer of the American College of Surgeons. 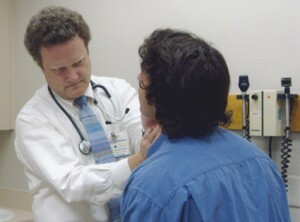 The school has been among the nation’s top 50 cancer centers since 1999. Robert E. O’Connor, M.D., M.P.H., follows Dr. Marcus Martin as Chair of the Department of Emergency Medicine. 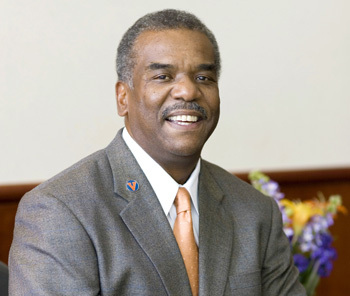 Dr. Martin serves the University of Virginia as the Associate Vice President for Diversity and Equity. Karen C. Johnston, M.D., M.Sc., is appointed Chair of the Department of Neurology, replacing Dr. G. Frederick Wooten, M.D. The Department of Family Medicine celebrates 35 years, and the Department of Medicine celebrates its centennial. The Health System’s transplant program reaches its fortieth anniversary. Virginia Governor Tim Kaine visits the School of Nursing to address the inadequate supply of nursing faculty. The University of Virginia Health System is first in the nation to image a patient with the next generation of interventional imaging systems, the Artis zeego, on Nov. 14. The University of Virginia’s lung transplant program has the best one-year survival rate in the nation. The University of Virginia School of Medicine posts the first issue of its online journal, Hospital Drive. It is founded to encourage original creative work that examines themes of health, illness and healing. 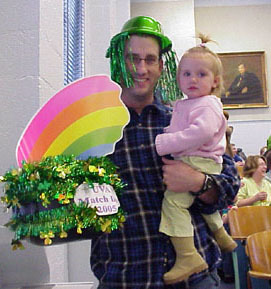 For additional news from the University of Virginia Health System for 2007 see the archives. The Claude Moore Health Sciences Library Historical Collections is proud to announce two exciting and interactive Web Exhibitions: The Plague Book and Vaulted Treasures. The Plague Book, a unique book of advice on how to combat the plague was published under the auspices of Elizabeth I during an outbreak in England and presents a fascinating portrait of public health, epidemiology, and illness during the late sixteenth century. Historical Collections opens its vault to display some of its rarest treasures with Vaulted Treasures, an exhibition that includes over 50 works published between 1493 and 1819. In March of 2007, the Library explores the role of women in health care through the exhibit, Changing the Face of Medicine. 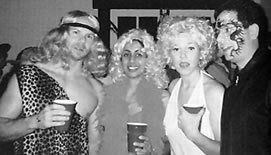 University of Virginia physicians Drs. Diane Snustad, Karen Rheuban, and Laurel Rice are nationally recognized in the exhibit as women doctors who are making a difference. 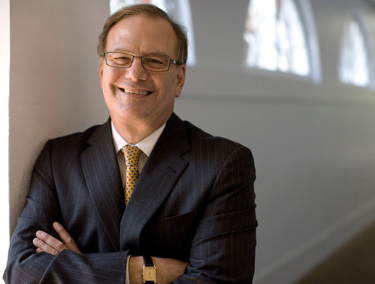 On April 27, Dr. Arthur “Tim” Garson Jr., an internationally recognized pediatric cardiologist who has served as vice president and dean of the School of Medicine since 2002, is named executive vice president and provost of the University, effective July 1, 2007. 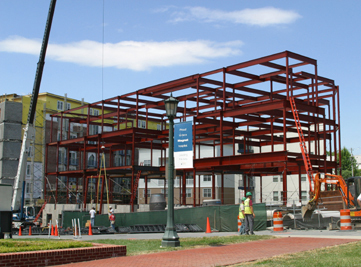 Construction of the Carter-Harrison Research Building is ongoing. It will house research programs in cancer, infectious diseases, allergy, and immunology. 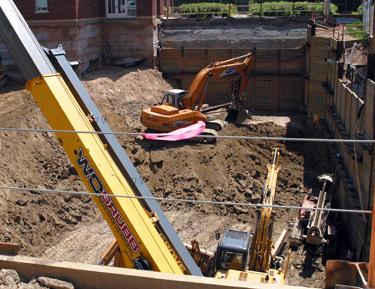 Construction of the Claude Moore Nursing Education Building is also underway. The new space will provide additional classrooms as well as a nursing history center. See current photos and take a virtual tour of the U.Va. School of Medicine, hospital, and grounds at the Office of Admissions. Students in the School of Medicine host the 25th annual Camp Holiday Trails 5K race and raise more than $3,000 for the local camp. Kenneth E. Greer, M.D., steps down after 14 years as chairman of the Department of Dermatology. Thomas G. Cropley, M.D., becomes the new chair. Mark F. Abel, M.D., is named chair of the Department of Orthopaedic Surgery replacing Cato T. Laurencin, M.D., Ph.D., named a Scientific American SciAm 50 winner for developing polymers that function as tissue scaffolding and promote the growth of new ligaments. The Hospital Bed Expansion construction begins in October. The six story project will add 72 critical care capable patient rooms at the front of the Hospital’s Central Bed Tower. Building Tomorrow at the University of Virginia, under the leadership of medical student Jason Franasiak, raises enough money to break ground for a school in Uganda. 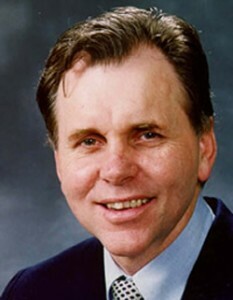 Neurosurgeon John Jane, M.D., receives the 2008 Parker J. Palmer Courage to Teach Award from the Accreditation Council for Graduate Medical Education. During his tenure at the University, Dr. Jane has trained 55 neurosurgeons, 16 of whom are now chairs of their own neurosurgery departments. Smoking is banned outside the doors to the hospital lobby. The University of Virginia School of Nursing has awarded the state’s first doctor of nursing practice degree to Amy Drake Boitnott, an instructor at the SON since 2004. The University of Virginia Medical Center and the School of Medicine adopt a comprehensive policy prohibiting gifts, meals, and promotional items from all vendors as of October 1st. The University of Virginia School of Medicine maintains its ranking of 23rd in the U.S. News & World Report survey. Culpeper Regional Hospital and the University of Virginia Medical Center have taken the first steps in forming a new partnership between the two health care providers. Construction on the Carter-Harrison Research Building (MR-6) continues. Devoted to research on vaccine therapy, immunology, infectious disease, cancer, and other areas of biomedicine, this 200,000-square-foot building will help fill a shortage of laboratory space at the University. The Claude Moore Health Sciences Library Historical Collections is proud to announce new Web exhibits. Anatomy: The Foundation of Medicine: From Aristotle to Early Twentieth Century Wall Charts briefly traces the history of anatomical study and drawing, culminating in the images from W. & A. K. Johnston’s Charts of Anatomy and Physiology by Dr. William Turner. A second exhibit, Joseph H. Farrow, M.D. 1904-1977, highlights the contributions to breast cancer care and treatment made by Dr. Farrow, a 1930 graduate of the U.Va. School of Medicine. An addition to the 8th Evac website focuses on letters received by WWII head nurse Ruth Beery after she wrote the next-of-kin of soldiers who died at the 8th Evacuation Hospital. Reflections on Health in Society & Culture, a joint venture of The Claude Moore Health Sciences Library and the Dean’s Office, unveils new physical and Web exhibits on Coming Clean: Hand Washing and Public Health; Screening for Health: Insects & Disease Prevention; Neurasthenia & the Culture of Nervous Exhaustion; and Reshaping the Body: Clothing & Cultural Practice. See also the University of Virginia School of Medicine homepage, University of Virginia Medical Alumni Association homepage, and University of Virginia School of Nursing homepage. For additional news from the U.Va. Health System for the year 2008, see the archives. Dr. Steven T. DeKosky, an international leader in the field of Alzheimer’s disease research, becomes vice president and dean of the School of Medicine on Aug. 1st, succeeding Dr. Sharon L. Hostler who served as interim vice president and dean. Photo by Dan Addison/U.Va. Public Affairs. Dorrie K. Fontaine, Ph.D., R.N., becomes dean of the School of Nursing on Aug. 1st, succeeding Jeanette Lancaster who served for 19 years in that position. Photo by Dan Addison/U.Va. Public Affairs. 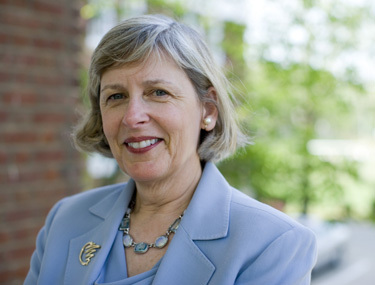 Jeanette Lancaster, Ph.D., R.N., steps down as dean of the U.Va. School of Nursing and will be at the University of Hong Kong for a yearlong visiting professorship as part of Universitas 21. Photo by Tom Cogill http:www.uvamagazine.org. The School of Nursing is expanding its undergraduate program to help address a severe shortage of nurses, and the new 32,000-square-foot Claude Moore School of Nursing Education Building provides much-needed space and is dedicated September 5th. In recognition of his accomplishments in the area of tropical medicine, Dr. Richard L. Guerrant receives the Walter Reed Medal, the highest honor from the American Society of Tropical Medicine and Hygiene. 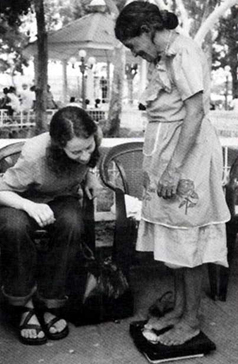 Dr. Guerrant has been helping to send medical students abroad for research projects for 30 years. Photo by Dan Addison/U.Va. Public Affairs. 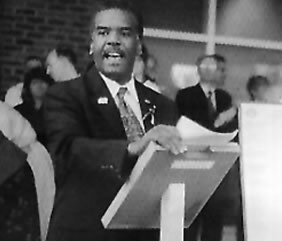 Dr. Marcus Martin, former chairman of the Department of Emergency Medicine, is the first recipient of an award created in his honor by the Society for Academic Emergency Medicine. Photo by Dan Addison/U.Va. Public Affairs. 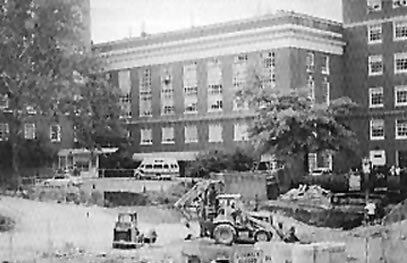 Construction begins on the Claude Moore Medical Education Building. 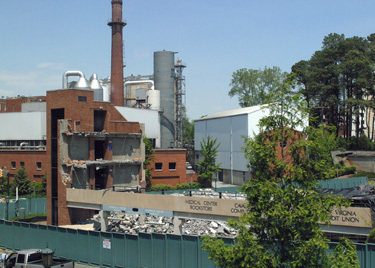 The West Parking Garage is demolished to make room for the Emily Couric Clinical Cancer Center. U.Va. begins construction on a 40-bed long-term acute hospital next to the Northridge Medical Office Building on U.S. 250 west to serve patients expected to need hospital care for more than 25 days. The Medical Center is one of only 15 major teaching hospitals to be ranked in the nation’s top 100 hospitals according to Thomson Reuters’ 100 Top Hospitals: National Benchmarks study which evaluated 3000 hospitals. Dorrie Fontaine, Dean of the University of Virginia School of Nursing, rings NASDAQ’s closing bell in recognition of National Nurses Week. In her brief remarks she recognizes the contributions of nurses in patient care, teaching, research, and policy decision-making. School of Medicine Dean, Steven T. DeKosky, joins 10 other leading scientists appearing in GQ Magazine as “Rock Stars of Science” to spotlight the need for increased funding for medical research and to attract future scientists. The Carter-Harrison Research Building opens and provides lab space for an estimated 60 research teams in biomedicine including immunology, infectious disease, and cancer. 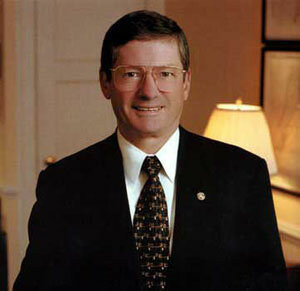 President John T. Casteen announces he will step down in 2010 following his twentieth year as president of the University of Virginia. Culpeper Regional Hospital and the University of Virginia Medical Center begin an official joint venture with the University planning to invest 49 percent “ownership interest” in the next three years. The University of Virginia School of Nursing is ranked 19th, placing it in the top five percent in the nation, by U.S. News & World Report. Dr. James Edward Ferguson is named chairman of the Department of Obstetrics and Gynecology. The Claude Moore Health Sciences Library Historical Collections is proud to announce new Web exhibits: From One Moment to the Next: The Halifax Explosion and Every Breath You Take: Tuberculosis Treatments. An additional page is added to the 8th Evac Web-site, a recollection written by Hubert B. Holsinger, head of the surgical team of the 8th Evacuation Hospital during WWII. Approximately 100 people continue to work on a new “Next Generation” Cells to Society curriculum that emphasizes active learning and integrates content around organ systems. It will be implemented in the fall of 2010 in the new Claude Moore Medical Education Building which features the latest innovations to accommodate a variety of learning styles. A $30 million grant from the Bill & Melinda Gates Foundation is awarded to the Foundation for the National Institutes of Health to fund a U.Va.-led worldwide study on links between malnutrition, intestinal infection, and child development. Dr. Richard Guerrant and Dr.William Petri, Jr. are the lead researchers. Dr. Petri is also awarded an additional $6.8 million from the Gates Foundation to chair the Malnutrition Biomarkers Discovery section of The Interactions of Malnutrition & Enteric Infections: Consequences for Child Health and Development project. Dr. Peyton Edwin Weary, Professor of Dermatology from 1958 to 1999 and Chair of the Department from 1976 to 1993, dies. The University of Virginia School of Medicine releases the fourth issue of the creative journal Hospital Drive. 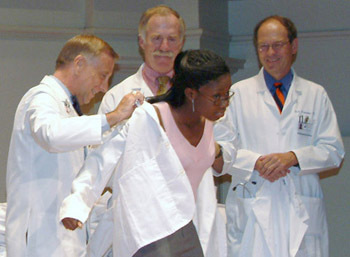 The Best Doctors in America ® 2009-2010 includes the most ever (186) University of Virginia physicians as among the best in the nation. McLeod Hall, the central facility for the School of Nursing until the 2008 opening of the Claude Moore Nursing Education Building, is undergoing renovations. The University of Virginia Health System opens its new MR Guided Focused Ultrasound (MRgFUS) Surgery Center, the first facility in the world that will be used exclusively for research and treatments with one of today’s most promising noninvasive medical technologies. U2 lands at Scott Stadium; Springsteen, the Dave Matthews Band, and the Dead all play at the JPJ Arena. University of Virginia School of Medicine researchers show that taking some of the stress and competition out of medical school helps students maintain better mental health without sacrificing academic performance. 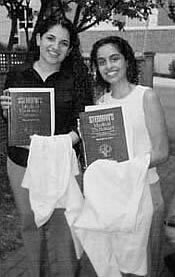 Two classes of medical students were followed for two years. The first was graded on an A, B, C, D, F scale; the second on a Pass/Fail scale. The results showed no lessening in performance in courses, national certification examinations, class attendance, or the quality of residency placement. See also the University of Virginia School of Medicine homepage, University of Virginia Medical Alumni Association homepage, and University of Virginia School of Nursing homepage. 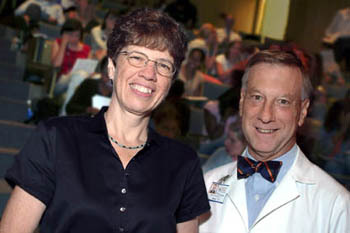 For additional news from the University of Virginia Health System for the year 2009, see the archives. 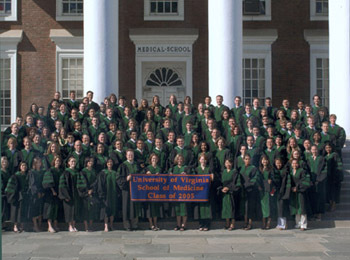 School of Medicine Class of 2009. Graduation day. Photo by Andrew Shurtleff/U.Va. Public Affairs. Topping out of the steel at the new Medical Education Building in April. Photo from the webcam. Great progress is made on the new Medical Education Building. 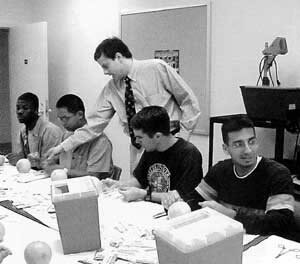 The Bedpan Bowl gives medical students an opportunity to play. The Emily Couric Clinical Cancer Center from the air. Photo by Dan Addison/U.Va. Public Affairs. A student checks out the library exhibit on the Halifax disaster. Photo by Sonya Coleman. 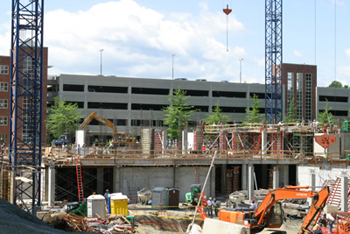 The Hospital Bed Expansion Project is an addition to the North façade of the Hospital’s Central Bed Tower. Seventy-two new patient rooms will be behind the glazed curtain wall system. Photo from the webcam.